George first became a recognised public figure in the North East of Scotland in the 1990's when he staged the now famous Emmerdale Extravaganza, regularly bringing up virtually the entire cast of the show to the North East for fundraising purposes, attracting over 20,000 people to each event and raising hundreds of thousands of pounds for local and national charities. In 2011 George was awarded the OBE by Queen Elizabeth II. George continues to be a prolific fundraiser, and through his continued experience of organising and presenting high profile events has also become an in-demand speaker, compere, and auctioneer - a skill that he employs to consistently exceed fundraising expectations. He is also an accomplished Toastmaster, professionally trained by the Guild of Professional Toastmasters, of which he is also a Fellow. 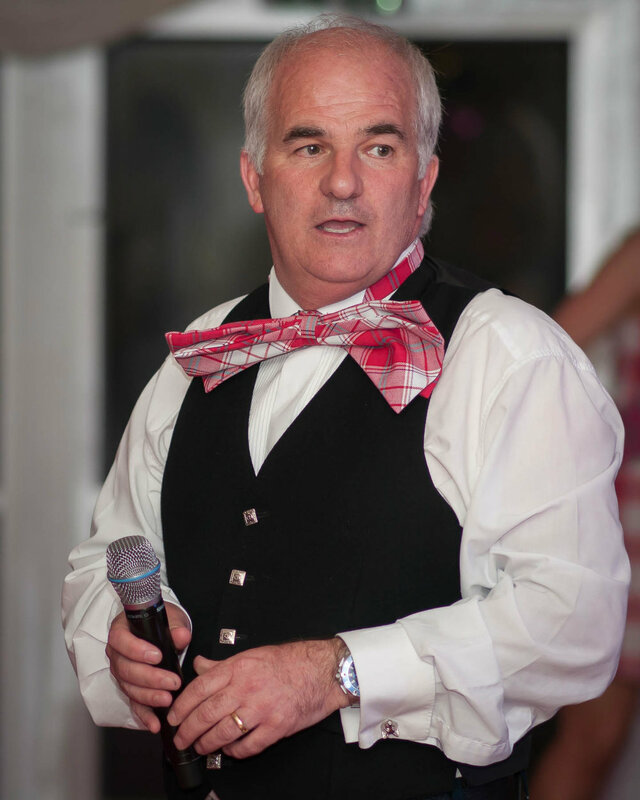 George is comfortable and happy to speak at both local and higher profile national events, and his previous engagements include Pride Of Aberdeen, the Queen's 80th Birthday Concert at Balmoral, and the Aberdeen Oil Baron's Ball, amongst many others. George has worked with numerous high profile people from the world of entertainment and has many stories to share with his audience, ranging from the amusing to the hilarious, when performing as a speaker. These include experiences working with members of the royal family, Emeli Sande, Katherine Jenkins, Jason Manford, Rory Bremner, Sir Norman Wisdom, Tony Hart, Heather Small, and many others! To book or enquire about George please complete the form below.